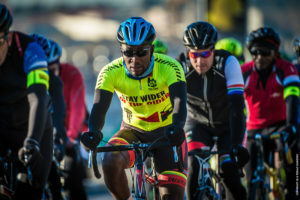 October is national transport month and not only does the Pedal Power Association want to see cyclists enjoying themselves on the trails and roads, but rider safety remains a top priority. Be visible: Wear bright clothes so that drivers can see you – anything neon is great during the daytime. It’s best to avoid biking at before sunrise and sunset, but if you do go for a ride after dark, be sure to wear reflective gear. When turning, be sure to signal to drivers and make eye contact when possible. Ride in a straight, predictable line so that you don’t take any drivers by surprise. Avoid riding in the early morning hours: We are currently very concerned about the amount of hit and run accidents that happen between 4h00 and 5h00 when a lot of intoxicated drivers return home from a night out. Check your bike: Before you head out, check your tyre pressure and brakes to make sure everything’s in order. This way there’s less of a chance of technical malfunction that could jeopardize your safety. Ride in groups if possible: More and more cases of muggings and bike jacking are reported to the PPA on a daily basis. Try to slot in with a local WhatsApp group for your own safety. Wear an ID bracelet: Most of them have an emergency number to call should you need medical attention. It also makes it easier to contact your next of kin should you be out riding alone. Do not use your cell phone: Just as when you are driving your car, don’t text or call whilst riding. Rather stop to take or make a call. “Let’s share the road,” says Vogel. “Courtesy comes free and leaves both parties feeling better. Acknowledge each other on the road and thank courteous behaviour,” he concluded.